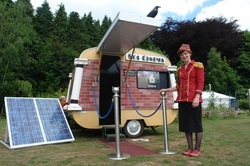 The Sol Cinema -a micro movie house powered entirely by the Sun. The tiny cinema can accommodate 8 adults comfortably for a unique cinematic experience. 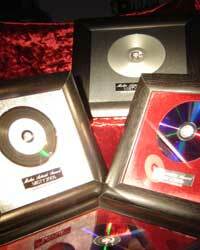 They show a full library of comedy, music videos and short films with inspiring environment themes. All our VHS stock has long sold out but many of the videos can be viewed on our YouTube Channel. 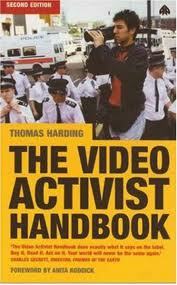 and published by Pluto press.Includes numerous examples of contemporary video activism from around the world. Undercurrents is a part owner of VisionOn.tv which enables you to create and collate the best social change video from around the world. We enable members to build their own TV channel on their site. VisionOntv aims to build flows of lasting and automatically-updating video content. Undercurrents hosted the first MISTY awards in 2005. It was a satirical Oscars for Independent media makers. Awards were presented to some of the best people using media to bring about positive change. A glittering ceremony was held with dinner, cabaret, films and music. Undercurrents created Broad Horizons as a showcase for Women working with film, video, music, design, animation and culture jamming. Broad Horizons is also a DVD compilation of animations, documentaries and short films produced by women. Undercurrents in association with VisionOn.TV created and managed a live TV studio during Climate Camp.The field studio was powered entirely by solar and wind energy. We broadcast over the internet. We reported the people who are making a difference by working together collectively. When large numbers of determined and well-organised people get together they can turn things around, making a historic difference.The climate camp aimed to do just that. Whether it's participating in the collective organisation of the camp, taking part in workshops or taking direct action to tackle dangerous developments like new coal-fired power stations; being at the camp was about people getting together to respond positively to the climate crisis. 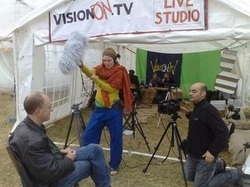 Climate camp TV studio shows were broadcast on http://visionOn.TV in August 2008. 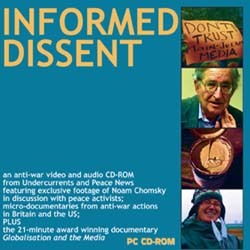 A DVD compilation of cutting edge animations, documentaries, comedy, subverts and music videos from the best radical producers from around the globe.The best of the grassroots film makers handpicked for you by Undercurrents.